Prayer frees you and heals you. 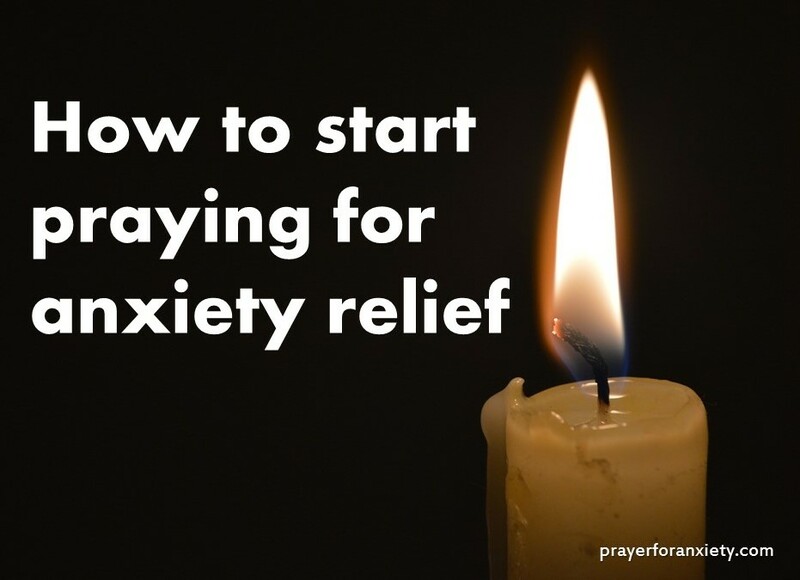 Maybe you want to learn about prayer for anxiety, but you don’t know how to get started. You might even feel embarrassed about it. Don’t worry, this article can help guide you on how to start praying. This little prayer is very powerful and effective. You can repeat it over and over at any time when you feel anxious or worried. It’s important to set aside quality time for prayer. Many people who suffer from anxiety schedule time to see a psychologist or counselor. In the same manner, try to arrange time dedicated specifically for prayer. If you have a Bible, have it next to you. If you don’t have a Bible, get one. Do I have to kneel when I pray? Kneeling to pray is a gesture of humility, but it’s not required. You can try sitting in a comfortable position if you like. It’s better not to lay in bed when you first start praying since you might fall asleep. No matter what position your body is in though, God hears you. God’s Word is life itself. In the Holy Scriptures we find all of God’s wisdom. Try to get used to reading the Bible before, during or after your prayer. Your understanding will grow as you read his Word. The Psalms are a great place to start. These “songs” to God are in fact prayers. The Psalms can help guide your prayer, and you’ll be amazed at how you identify with what you read. Will prayer really help me with my anxiety? Absolutely! Medical science has proven that prayerful people are healthier and happier. However, the benefits of prayer extend far beyond what medical studies can show. Remember, Jesus Christ paid a great price for all of us. This means that you can be in God’s presence with confidence. It doesn’t depend on being perfect or good. It depends on you knowing that you are forgiven and loved. Try to build up gradually but steadily to spending time in prayer every day. Even on days you don’t feel like it, make the effort. Every time you seek God’s presence, his blessings and peace appear – guaranteed. Want your life to be different? Then pray for it. Learn more when you order our eBook about prayer.